Welcome to the Small Cheer and Pep Squad website! 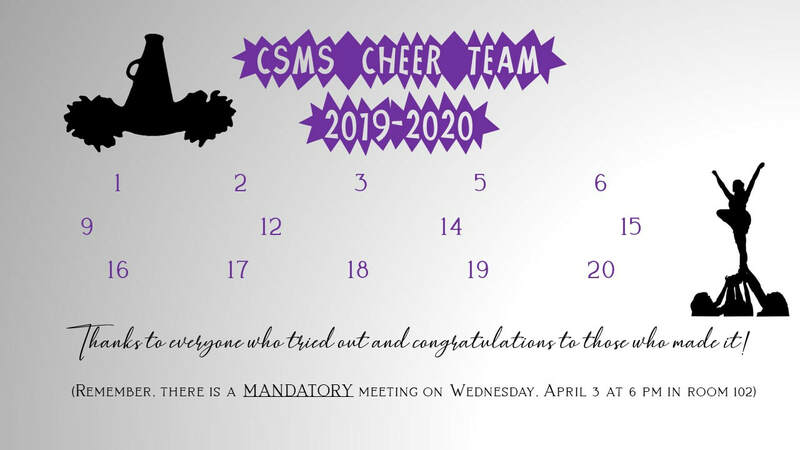 Congrats to the 2019-2020 new cheerleaders! There is a MANDATORY meeting Wednesday, April 3, 2019, from 6-7 in Ms. Clarke's room (102). Missing this meeting could result in losing your spot on the team! Small Cheerleading Booster Club Sign Up! Please use the links above to navigate your way around the website.